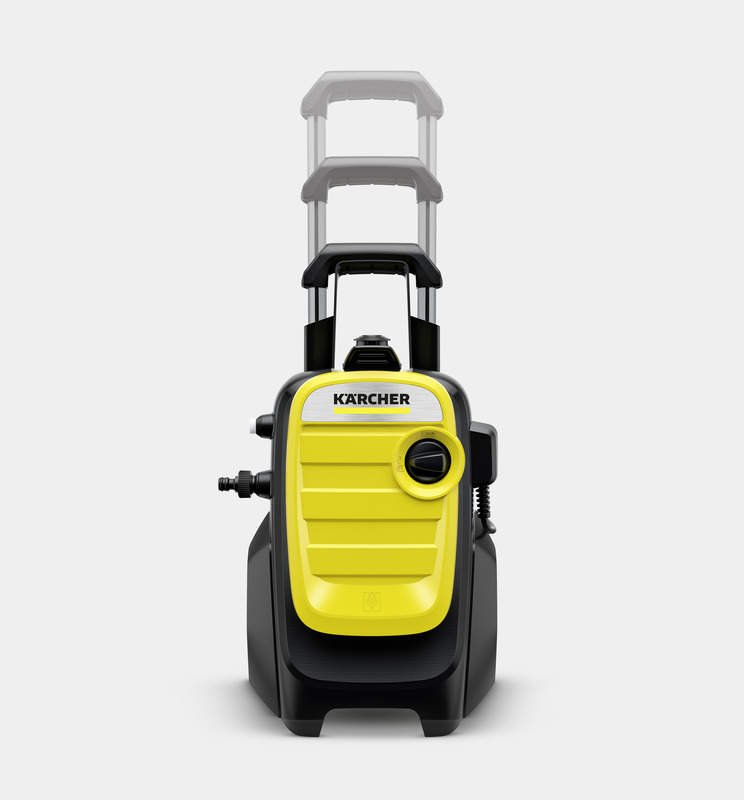 K 5 Compact 16307510 https://www.kaercher.com/ie/home-garden/pressure-washers/k-5-compact-16307510.html The Kärcher K 5 Compact pressure washer comes with all the cleaning power and energy efficiency you expect but conveniently designed for smaller storage areas. 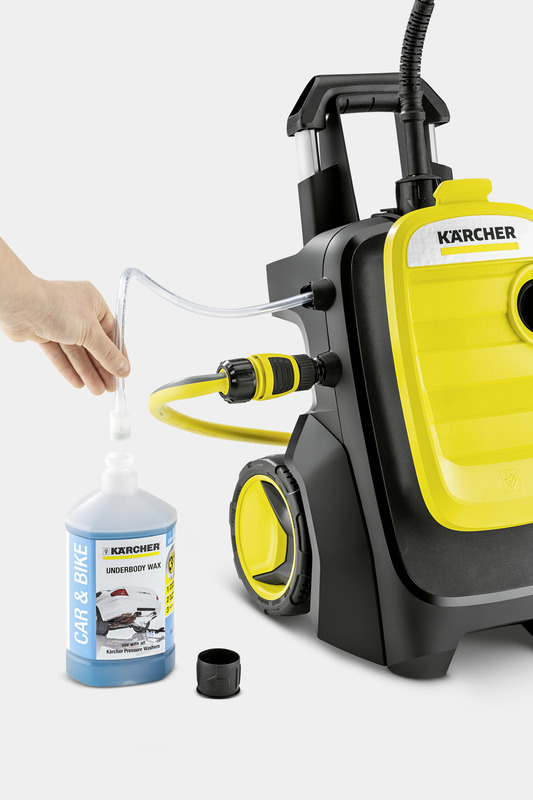 The Kärcher K 5 Compact pressure washer comes with all the cleaning power and energy efficiency you expect but conveniently designed for smaller storage areas. 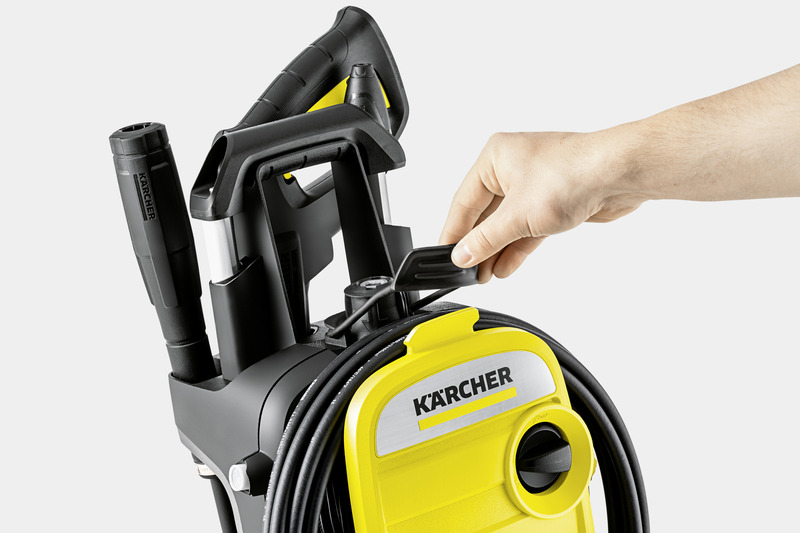 The Kärcher K 5 Compact pressure washer comes with all the cleaning power and energy efficiency you expect but conveniently designed for smaller storage areas and easier manoeuvring thanks to its improved aluminium telescopic handle and wheels. 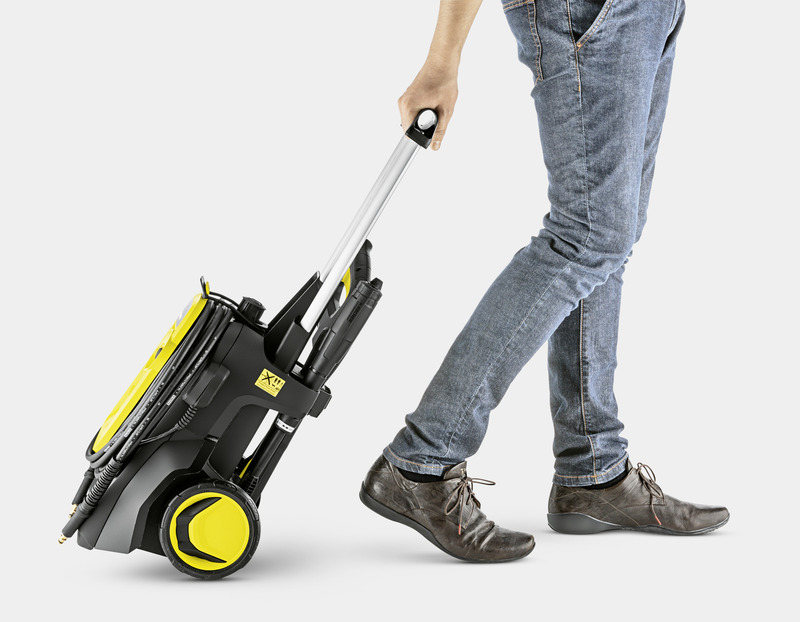 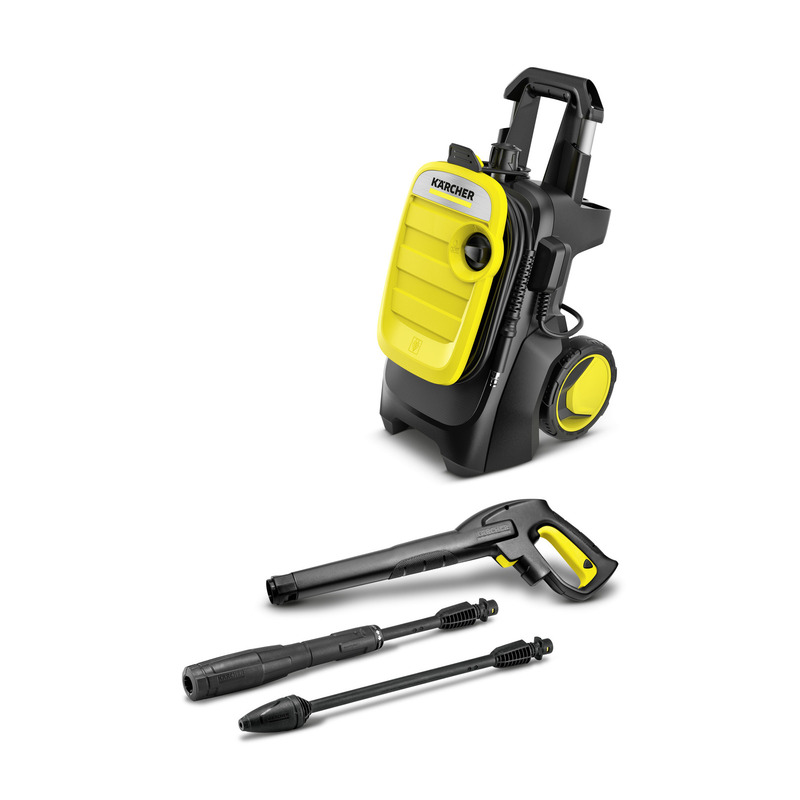 The device features an innovative water-cooled induction motor, which extends its life and enhances its performance, especially when used for tough jobs. 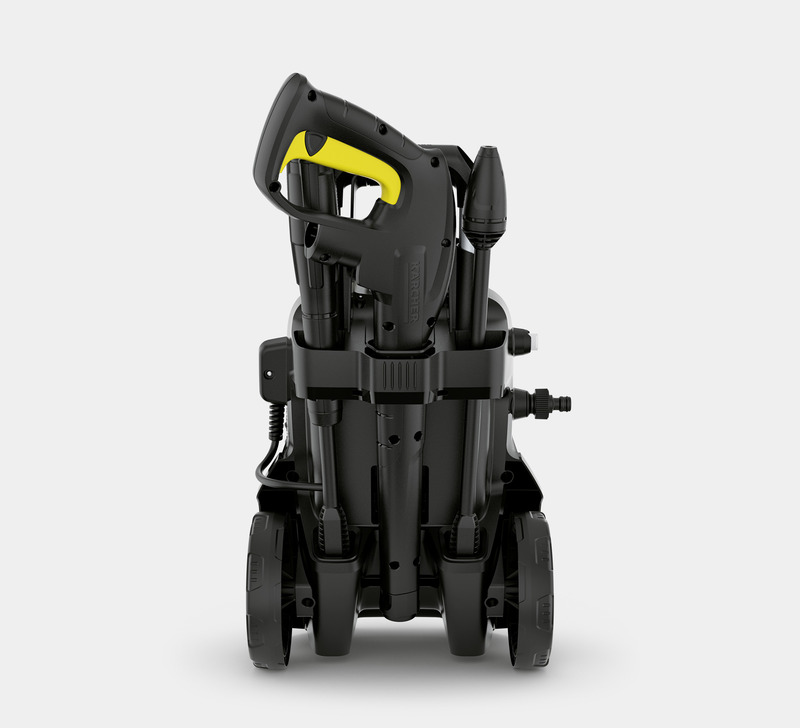 The Quick Connect system prevents the hose kinking and reduces set up times when connecting to a static water source, while its filtered suction capabilities make it ideal for harvesting water from tanks or other open sources. 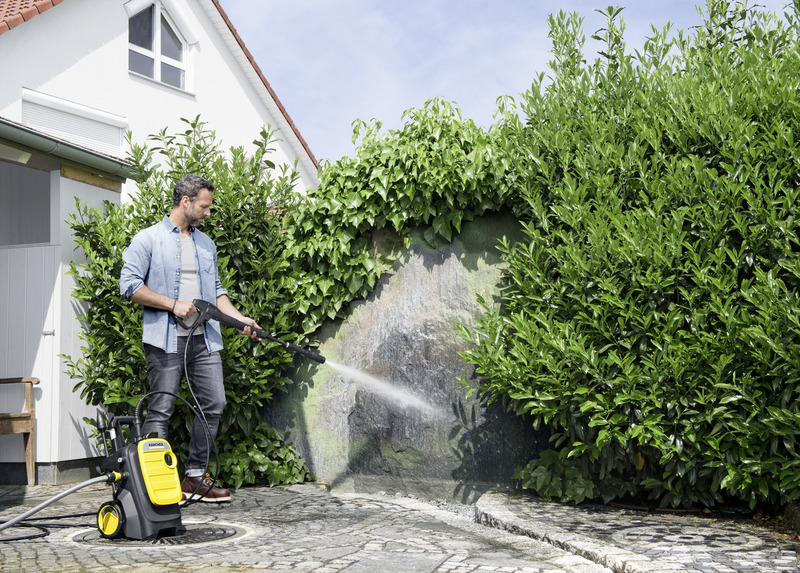 Great for maintaining outdoor spaces and cleaning, the K 5 Compact pressure washer includes the vario and dirt blaster lances which provide up to 50% more cleaning power when compared to a standard pressure lance. 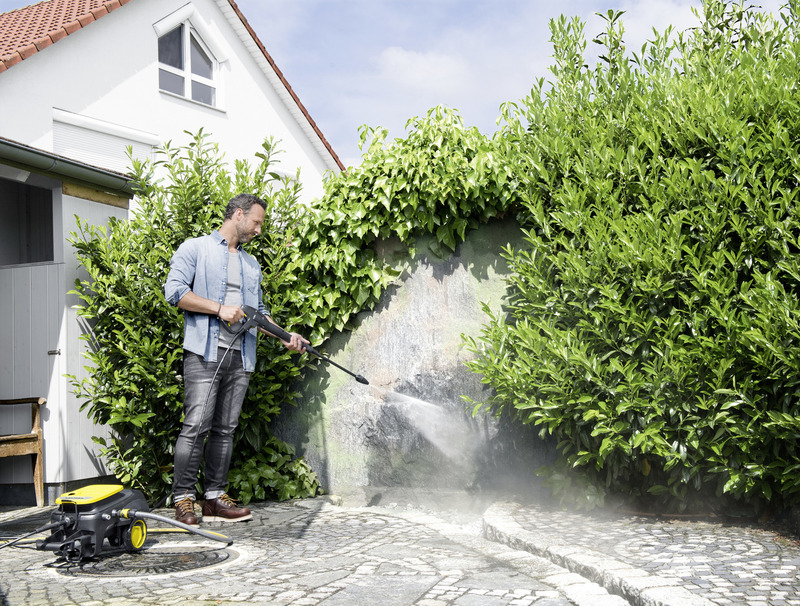 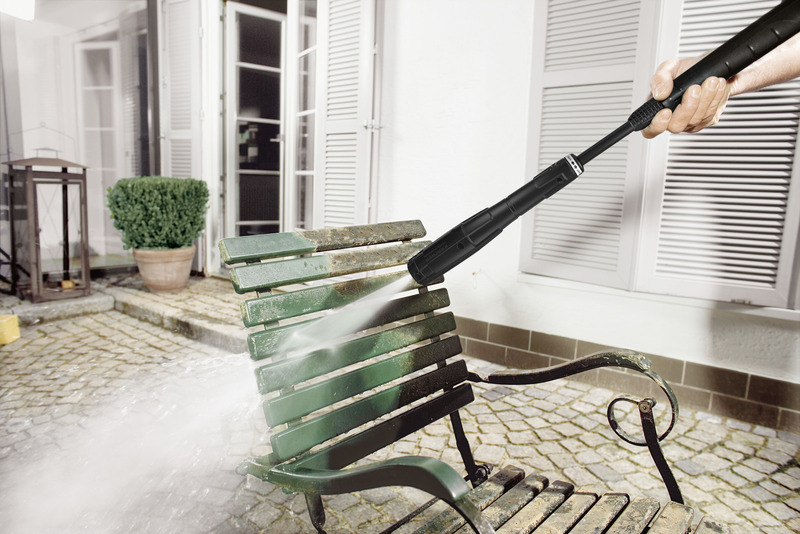 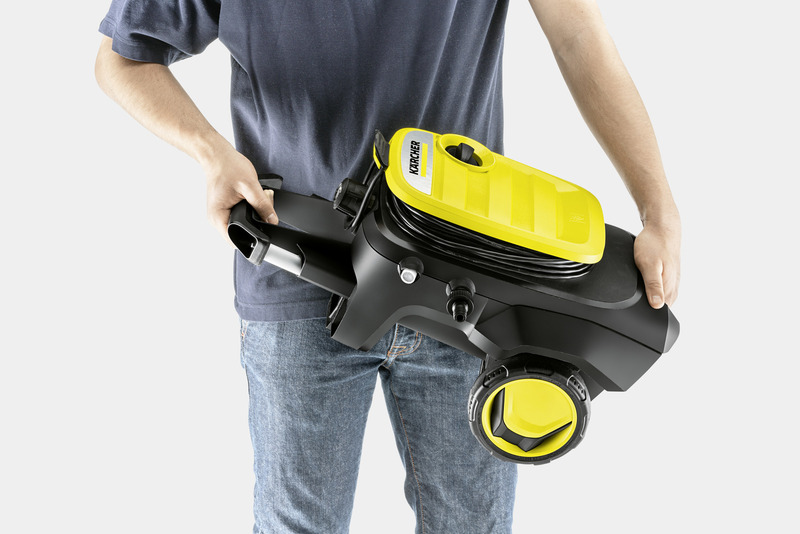 The Kärcher K 5 Compact pressure washer comes with a 3-year guarantee.